Il mio preferito è quello in cui indossi la felpa di Kenzo! Te l'ho già detto più volte ma mi ripeto: amo il modo in cui riesci a mixare stampe e colori creando degli abbinamenti perfettamente bilanciati ed eleganti, ma come fai? :) quindi i miei preferiti sono il 1, 3 e 4 sopratutto!! Hello happy day, lovaly your outfits. Kiss. 1,2,3,5 are my faves. Your style is amazing and I love that it's unique. Blog is really nice, fashion and cookies ~> perfect combo haha! Great outfits you look pretty in all. Hello,Ciao ...Great Post,it seems an Art-Gallery...all of your outfits are so creative,colourful,fabolous that they're works of Art...they say that Fashion is Art and so you're a great Artist of Style! So many lovely items dear. 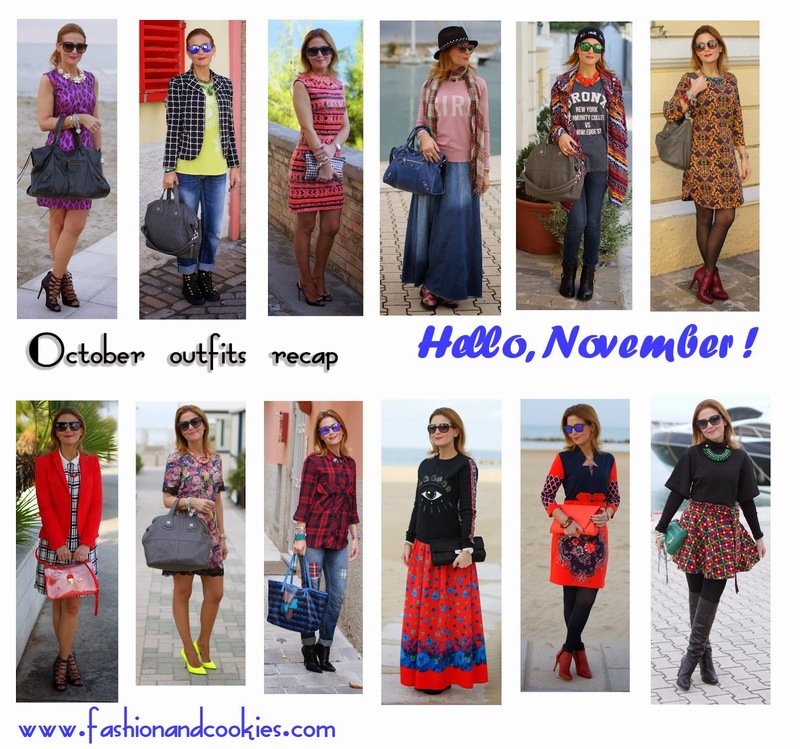 So many amazing outfits this month, can't wait for November's! Hope you're having a wonderful weekend! Strikingly beautiful outfits. You really dress exceptionally well. The one with the eye sweater and long skirt is my favorite, I'm completely blown away by it haha. Ciao Vale, io adoro il n.4 il n. 5 ma piu di tutti l' ultimo...è stupendo! Un bacio grande, scusa il ritardo ma sono in vacanza fino a lunedi..
Sono tutti belli ma voglio la felpa di kenzo come la tua!!! Hai uno stile unico, sei fantastica! Sono molto belli, il secondo mi piace un sacco! great looks from your october recap! I loooove your burgundy booties and the dress your paired with them most! 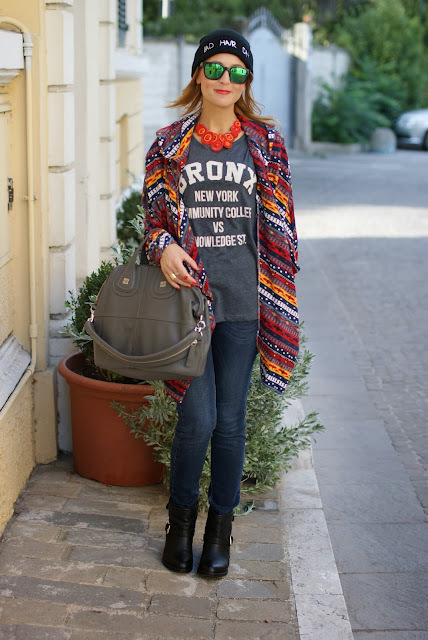 Such insanely chic looks, love your style and some great fall outfits there ! 1,2,3 and 6. Although they're all very stylish. I'm following on Bloglovin, Facebook and Instagram would you like to follow each other in GFC? però tu mi pici sempre!!kiss!! sempre coloratissima. Lo dico senza dubbio alcuno Vale: sei la blogger che fa gli outfit più belli, a mio modestissimo parere. Sempre sorridente, colorata, mai banale! Brava, davvero! Questi sono i post che preferiamo, pieni di outfit uno più bello dell'altro! Tu sei una donna bellissima... uno charme, una classe.... Bella bella bella! Your check blazer is the coolest! I think #2 is my favorite! You had some very colorful and inspired looks in October. recaps are one of my faves because all your dynamite outfits are together!